hornetfinn wrote: I wonder what he would rate as 10/10 for acceleration, climb rate and sustained turns? Streak Eagle. 0 to Mach 1 in 23 seconds. After re-reading it for the 3rd time, here was the most tantalizing line IMO..
What are the greatest myths about the F-35B? That it isn’t operational; that stealth doesn’t ‘work’; that external stores on F-35 defeats the point of its design. Now you could take that many different ways. Was he saying that adding external stores just adds to its combat flexibility? That's one. Was he saying that adding external stores don't degrade its aerodynamic performance? That's another. Or, was he saying certain external stores positions... don't compromise the F-35's stealth??? Even big external stores on a F-35 like bombs won't turn it into an F-15 in RCS, more like a clean F-16 (stealthiest of original 4th gens) and it will still have the jamming capability to offset that. It really is a generation apart in survivability compared to the original spec 1970/80s 4th gens. marsavian wrote: Even big external stores on a F-35 like bombs won't turn it into an F-15 in RCS, more like a clean F-16 (stealthiest of original 4th gens) and will still have the jamming capability to offset that. It really is a generation apart in survivability compared to the original spec 1970/80s 4th gens. Quite agree on that. BUT jamming capabilities, whatever the sophistication of the jammers have a hard limit depending on jammed target numbers. That is a big advantage of passive stealth. Very true, but F-35 has the luxury of choosing between VLO stealth and massive ordnance capacity. VLO stealth is used when enemy defenses are still up and running. External carriage is used when enemy defenses are suppressed sufficiently. 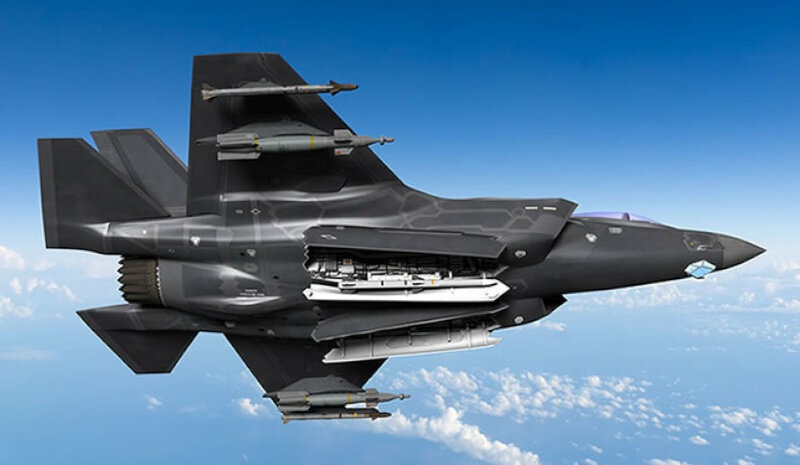 Even when enemy defenses are up, some F-35s might be used as bomb trucks and some used in VLO stealth mode closer to enemy and provide targeting data, co-operative jamming and protection for "Beast mode" F-35s. Just like 4th gen fighters have survived and achieved their goals in exercises far better when protected and escorted by F-35s than they can without F-35 support. "Beast mode" F-35 can do that still far better than any 4th gen fighter can. Even if "Beast mode" F-35s provide significant advantages over best 4th gen fighters. They still have much better SA due to having more and better sensors, far better networking between each other and all that goes through full sensor fusion. They still likely have significantly lower RCS, IR signature and active RF signature. F-35 RCS will be determined by those two external Paveways and AIM-9X and their pylons. Dassault Rafale will have the RCS of those 6 AASM Hammers, 3 EFTs, targeting pod and 4 air-to-air missiles in addition to having much higher RCS of the platfomr itself. I bet F-35 will have much better survivability due to RCS and probably much better performance. Even if EFTs are punched in Rafale, it will still carry a lot more externally degrading performance. Of course F-35 still also has the best EA/EW capability in any fighter jet and they can also do co-operative jamming. 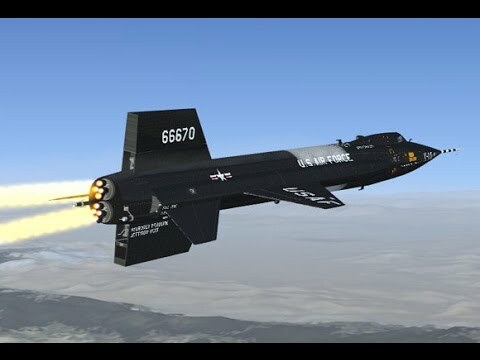 While the survivability will be lower than with full stealth mode, it will still be way better than in any 4th gen jet. One of the most fascinating parts of the F-35 is how every hinge, every panel, every fastener and every bolt is closed back up when we are done with the maintenance of the airplane. Every time we take off in an F-35, we are in that stealth, non-visible configuration. We designed it so the stealth robustness will be maintained over many decades. Also, some (representative??) HMD symbology is shown in the sim, wonder how close that is to what the pilot sees; or is it just a placeholder? Not directly related to the F-35B. But we can see USMC exercising the Harrier hard for A2A combat at the recent Ex Bayou Thunder at JB New Orleans. If not why else would they be slinging 2 amraams and sidewinders. They will soon get HMS and Aim-9x to make them highly lethal WVR.